U.S. Senator Says Violent Games Are "Practice Simulators"
U.S. 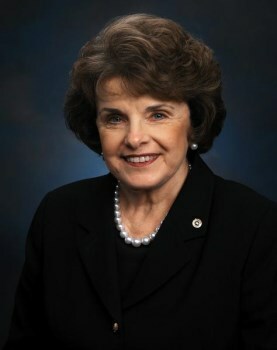 Senator Dianne Feinstein says violent videogames give budding mass-murderers the opportunity to practice their craft. Democratic Senator Dianne Feinstein is back in the news after saying on MSNBC's Morning Joe yesterday that violent videogames are essentially trainers for killers. "I think the really violent videogame becomes a kind of simulator to practice on. And it enables the individual to become much more familiar with that depiction of death and blood," she said. "Of course it's not the way it is in real life." The comment builds upon statements she made last week during an address in San Francisco, where she issued a thinly-veiled threat that the U.S. government might move to mandate a reduction of guns in videogames if the industry doesn't do so itself. It also follows not too far behind a March report that police officers investigating the Sandy Hook massacre believe the shooter was a "deranged gamer" who was trying to rack up points for a "score sheet." If the term "murder simulator" rings a bell, it's likely because it was a favorite term of Jack Thompson, the former attorney who was once reviled as a strident, fanatical opponent of violent videogames. But while Thompson was disbarred in 2008, Feinstein is a popular Senator, winning her most recent election campaign in a landslide with more than 62 percent of the vote and setting a record for the most votes cast for a single candidate in one election.